The best student improvement product ever developed! 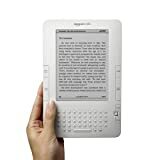 Thanks in large part to the Amazon Kindle, which now comes in two screen sizes, and enthusiasm for the soon to be released Apple electronic book reader, online book downloads are beginning to take over the cultural tradition known as reading. Amazon reported during the Christmas shopping season that for the first time ever it had achieved a greater volume of online book downloads sales for the Kindle than sales of published on a single day. This is a pretty remarkable report and clearly shows that more and more readers are tuning into the ability to download books on demand to their portable device and read them. It is not all that surprising that like every area of the consumer environment, consumers want it and they want it now. As is the case with movies, shopping in general, fashion, and more, the internet is picking up steam. Internet sales have grown dramatically in the last few years to help account for dwindling in-store sales for many retailers. Amazon was the big winner by all accounts during the recent holiday shopping season. Online book downloads give readers the opportunity to immediately acquire thousands of titles ranging from textbooks speed reading programs to traditional fiction, non-fiction, mysteries, and other popular book genres. While the devices (Kindles range from $259 to just over $450) are pricy, the books are much less expensive to buy since there are no printing costs involved. Some traditional publishers are obviously concerned about how this cultural direction for reading book downloads is going to affect them – and rightfully so. It would not be surprising, especially as new book download devices are introduced, if 2010 marks the first year in which online book downloads outpace the sale of published books.